Autonomous drones, self-driving cars, robots that perform surgeries, hardware for artificial intelligence. An electronic revolution is on the rise. The next generation of electronic technology will use advanced semiconductors, transistors, integrated circuits, and nanoelectronics, as well as more powerful processors. 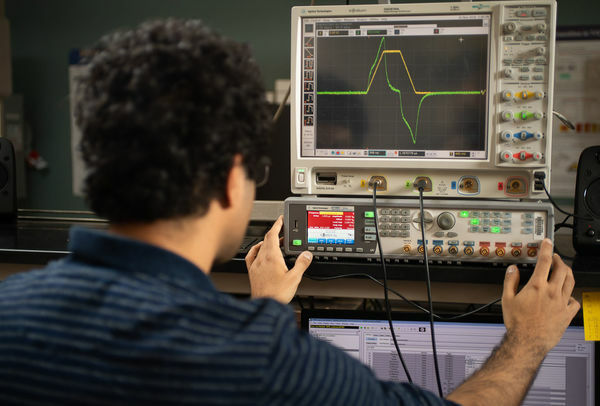 Better and faster performance of our current electronic devices – as well as developing next generation devices – while delivering them at a lower cost, using less power and making them smaller in size and denser, is the future of electrical engineering. 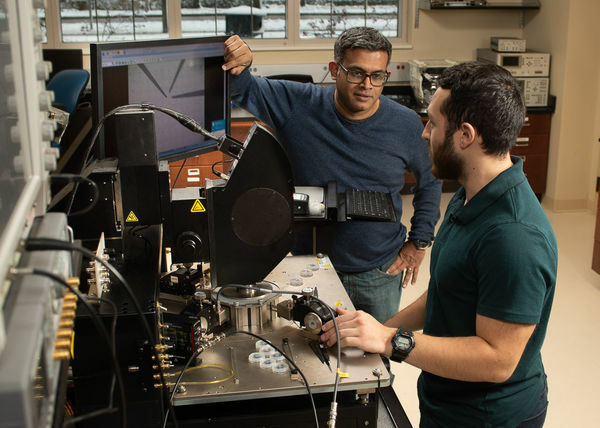 The Department of Electrical Engineering at the University of Notre Dame (NDEE) is leading the charge, researching and engineering the building blocks that will shape the future of the industry. The foundational multi-disciplinary Applications and Systems-driven Center for Energy-Efficient integrated Nano Technologies (ASCENT) has now been in operation for a year. ASCENT is one of only six research centers funded by the Semiconductor Research Corporation’s (SRC) Joint University Microelectronics Program (JUMP), which represents a consortium of industrial participants and the Defense Advanced Research Projects Agency (DARPA). At the state level, the Indiana Economic Development Corporation has provided funding for strategic equipment to support execution of the program’s deliverables. ASCENT is led by Stinson Professor of Nanotechnology, Suman Datta. Prof. Suman Datta and NDEE graduate student Ben Grisafe in the lab. Originally published by Leslie Lestinsky at conductorshare.nd.edu on February 11, 2019.